The standard definition of adjunct is "something joined or added to another thing but not essentially a part of it." To understand what an adjunct is when it comes to beer and brewing, we must understand what is essential to beer. Then, everything else that finds its way into the brewpot is an adjunct. There are four essential ingredients in beer. Without malted barley, water, yeast, and hops you simply don't have beer. Malted barley provides sugar that the yeast converts to alcohol. It also contributes color, flavor, aroma and a sweet taste to the final product. Hops also contribute flavor and aroma as well as a bitter balance to the sweet malt. Lastly, water acts as a medium for the others. Each of the four ingredients plays a vital role in brewing beer and the final product. Take away any one of them and you have something that is not beer. The role of adjuncts, which have been used in beer since it was first brewed, is to enhance one or another characteristic that the four essential contribute to beer. Some increase the original amount of sugar in the wort. Other adjuncts are used to add a unique flavor or aroma to beer. Certain adjuncts are even used to alter the way that beer ferments. Many styles of beer rely on adjuncts. 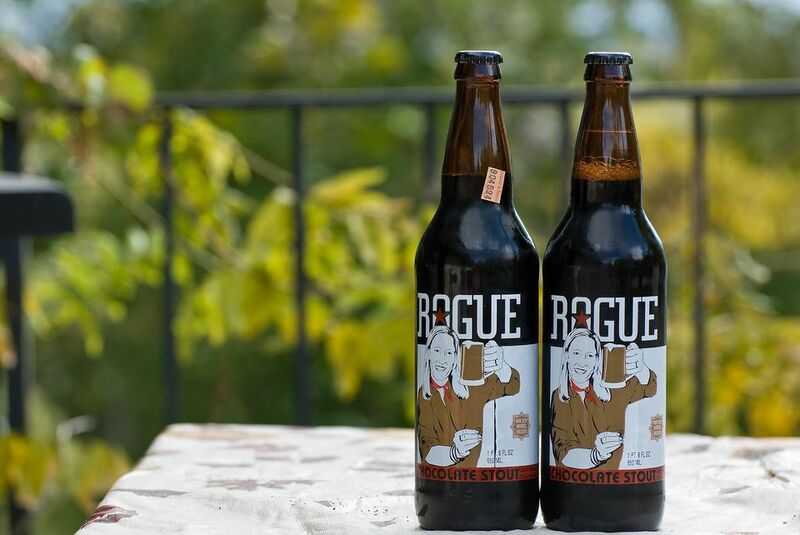 Like coffee, the flavor of chocolate blends nicely with the natural flavors of dark beer. Chocolate is a common and popular adjunct. Coffee is a popular adjunct. The flavor of coffee combines well with the dark, roasted flavors of stout and porter. Tea is also occasionally added to beer although it is not as common as coffee. Fruit is perhaps the easiest adjunct to identify and understand. Fruit contributes flavor, aroma, color and additional sugar which usually means more alcohol. Every fruit from grapes to apples have found their way into the brewpot at some point. Vegetables are also used occasionally though not as frequently as fruit. One vegetable often used as an adjunct that you might have come across is the hot pepper. The heat from a pepper changes the sweet/bitter balance usually found in beer and changes it to a sweet/hot balance. Grains other than malted barley are probably the most used adjuncts. Unmalted barley, corn, rice, rye, and wheat are frequently used by brewers to increase original wort sugar content and therefore the final amount of alcohol. Adjunct grains also contribute flavor, aroma, and color in beer. If you've ever tried a wit or a Belgian white beer then you've encountered a spice adjunct. This style of beer uses coriander in the recipe which contributes a distinct if subtle aroma and flavor to the beer. Spices are also common in autumn and winter seasonal beers. Pumpkin beer usually contains pie spices like ginger, nutmeg, and allspice. Sources of pure sugar are typical adjuncts. Brewers have long added honey to the brewpot to increase the final alcohol level. Candied sugar is a common ingredient in Belgian ales. Unfermentable sugars, like lactose, the sugar in milk, are also used to increase the sweetness of the final beer. While brewers yeast is usually the only microorganism allowed into the fermentation tank, brewers will sometimes deliberately infect their work with certain types of bacteria. These alter the way the beer ferments and contribute some very unusual flavors. Beers fermented with yeast and bacteria are distinctly sour. What's the Difference Between Two-Row and Six-Row Barley?